As the last pieces fall into place ahead of V&A Dundee's much-anticipated debut, it has never been clearer that the new museum is far from the entire story. 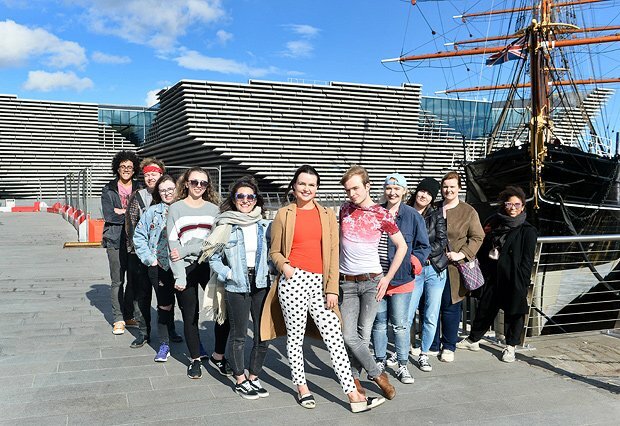 While this is an undoubtedly historic moment, the opening of V&A Dundee plays only a small part within a grander narrative about the city itself; one whose remarkable regeneration has long been cultivated by a dedicated citizenry, a rich history in design and industry, and a vision for the future that is progressive, inclusive and deeply creative. This vision will be exemplified in the 3D Festival, a two-day celebration co-designed by the V&A Dundee's Young People's Collective. Comprised of those between the ages of 16 to 25, the Collective will have a hand in shaping every aspect of the festival, from selecting the lineup to designing the stage sets. As such, the festival will be a key event in Scotland's Year of Young People, and will encapsulate all that this year is meant to symbolise: an ethos of forward-thinking, hope for what lies ahead, and the emergent generation of young Scots who will bring this potential to fruition. With the dramatic contours of the V&A Dundee as a backdrop, the celebration will take place in Slessor Gardens, within the heart of Dundee's transformed waterfront, and is expected to welcome up to 20,000 visitors. The first day of the festival will take place on the eve of the museum's opening and will feature a colourful showcase of creative talent ranging from music and dance to design and performance. On the V&A's opening day, family activities and hands-on design workshops will take place on the main stage. Further details relating to the festival lineup will be announced over the summer period.